Like most of our adventures, this one started with the question ‘So what do you want to do this winter?’. I had a rare 6 week window of nothing booked and Peter was itching for adventure. We live in two glorious locations: a vacation home in the Wasatch Mountains of Utah and the majestic Rocky Mountain town of Canmore, Alberta. It seemed irrational to leave either but we both felt a strong desire to remove ourselves from the comforts of home and morph into a dirt-bag travelers. Most people find it difficult to believe, but I can be very, very unmotivated at times. I can be very human and lack any motivation to get outside and move. Being on an adventure, for me, means taking away the procrastination that often prevents me from getting outside. 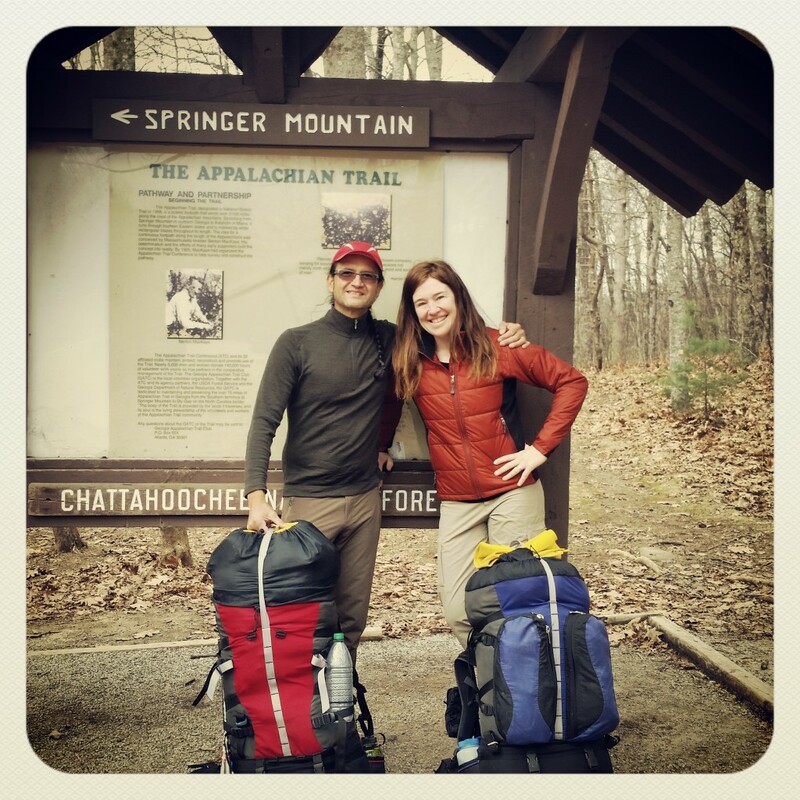 Being on a trip means being in the travel mode of eating, sleeping, camping and biking/hiking. There is something about self-contained travel that brings me closer to nature, to myself, to existence that I cannot find any other way. Luckily, Peter feels the same. I’m sure he’d say the same about me. 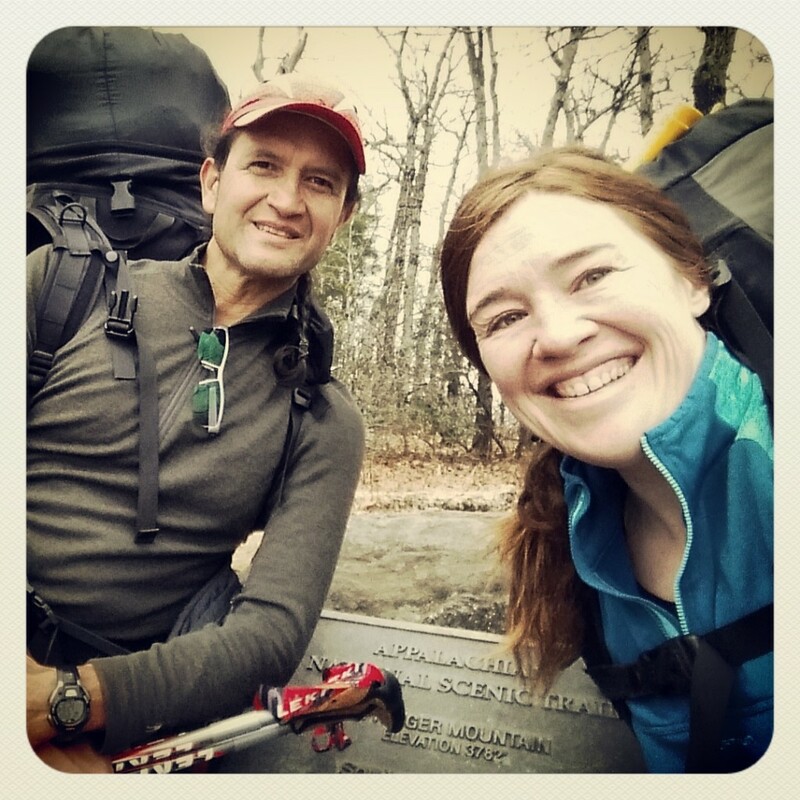 It took approximately five minutes to agree on a time and place to begin: a winter hike of the Southern Appalachian Trail (AT) it would be. Only problem was we were to begin in, oh, twelve days. This six week trip was something most people would plan months, or even years, in advance for. Adding to the problem was that I had ten days of travel, events and responsibilities that would take me all across Canada, the USA and Mexico. It was up to Peter to plan and prepare. Peter happens to have more experience hiking than most people on earth. 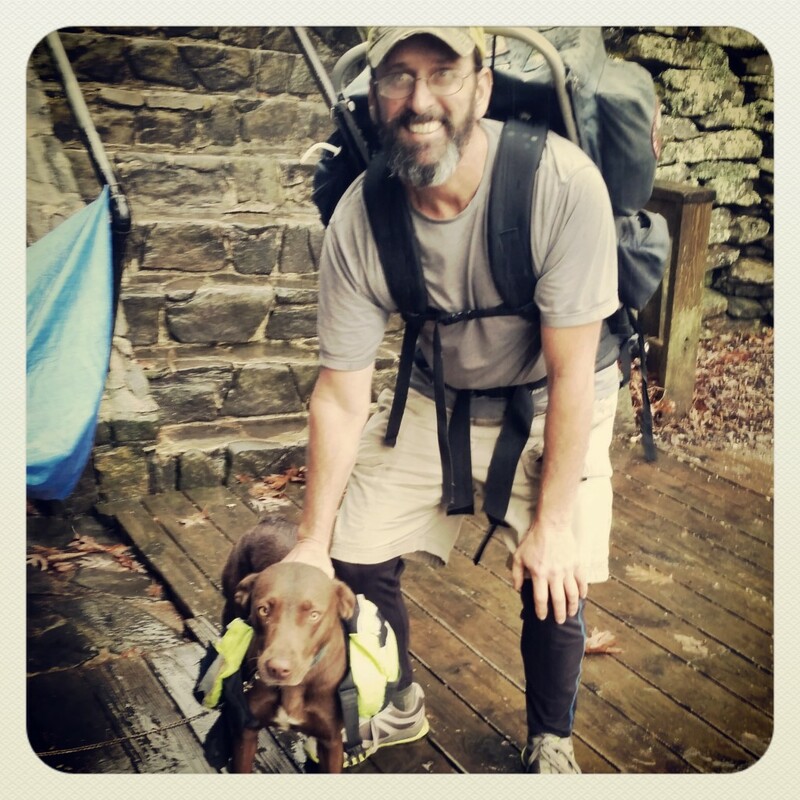 He’s walked the Pacific Crest Trail (PCT) twice (the entire trail, not like Cheryl Strayed and her Wild adventure), the Continental Divide Trail (CTD) and the Baja Peninsula in Mexico. 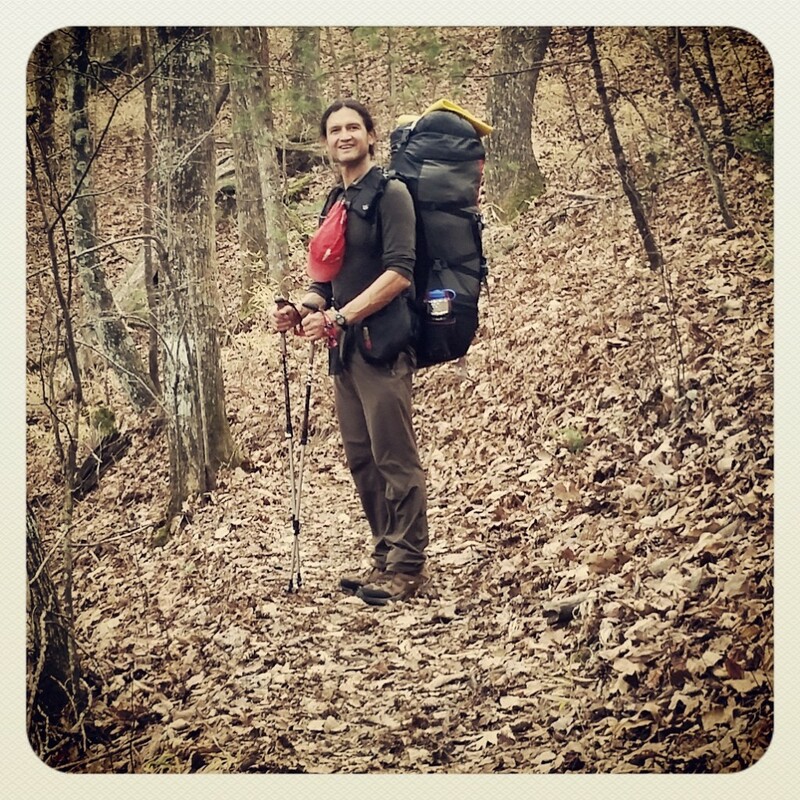 He’s even walked the northern section of the AT, from the northern terminus in Maine to the Hudson River. Yes, I am married to a walking machine. After researching, ordering and making multiple lists, it seemed we were set to hit the trail. 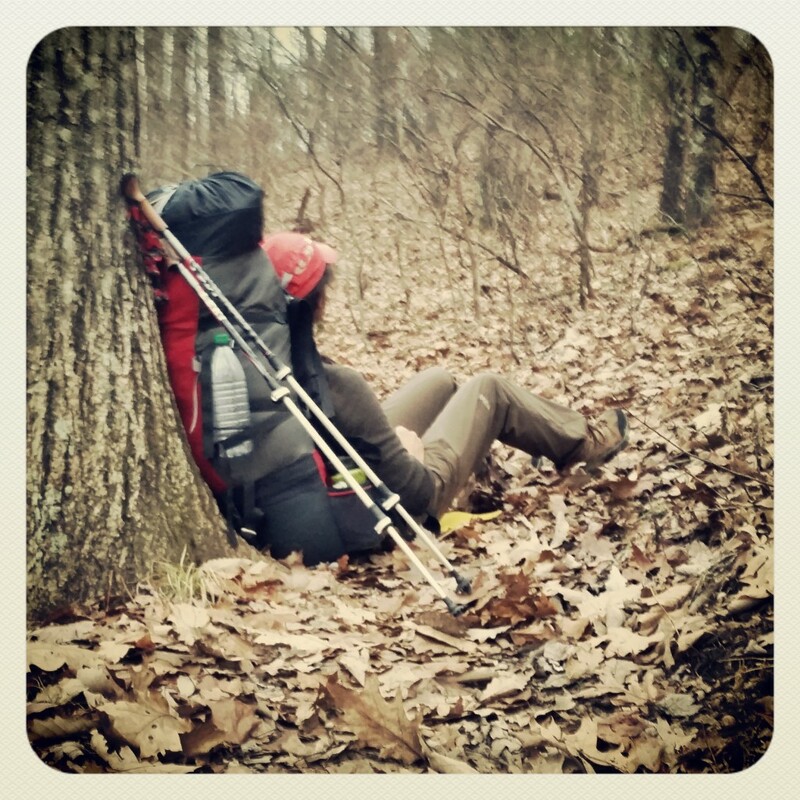 Our gear had us ready for anything we thought Appalachia could throw at us weather-wise. We hadn’t hiked with heavy packs in some time so assumed this would be a low-mileage trip, laden with hot tea and reading material in the shelters along the way. We were wrong on both fronts, but more on that later. This is how we found ourselves walking five kilometers down our icy, snow covered canyon road in Utah at 430am. A taxi, two flights and a train later and we were picked up by Josh Saint who runs the Hiker Hostel with his wife Leigh in Dahlonega, Georgia. 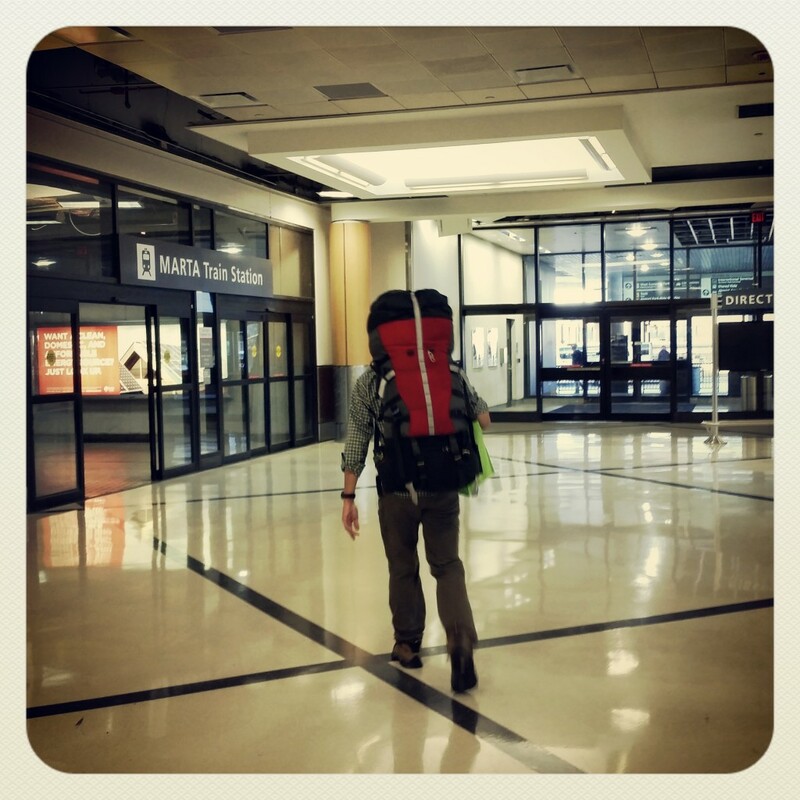 Navigating the Atlanta Airport with our backpacks, heading towards the train station. 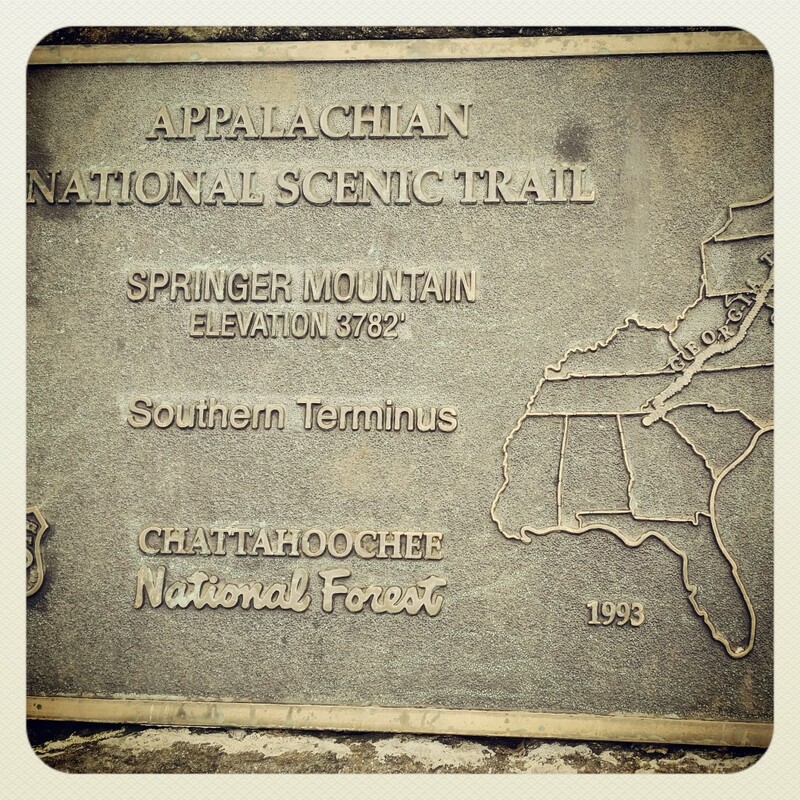 An overnight stay and another shuttle on the winding mountain roads of northern Georgia left us and our backpacks at the southern terminus of the Appalachian Trail: Springer Mountain. This hardly seems simple yet we could hardly believe we were there, and the hike was real. Now, all we had to do was start walking. A sign we would read later in our hike stated ‘The Appalachian Trail’s original concept proposed in 1921 was to preserve the Appalachian crests by developing a great trail traversing its length so as to allow city workers to revitalize themselves and escape the mechanization of modern society. The dream was to create a footpath of wonder and tranquility.’ This applied to us, too, the modern citizens of this buzzing, rushed and stressed existence we move within. It was just what we needed. The magic of being on this adventure stayed with us every step of the way, but it all starts with taking the first step. We took ours up at Springer Mountain. Soon into our first hour on trail, we met an older couple who also stayed at the Hiker Hostel. Just staying at such a place and not a hotel was a stretch for them. Getting out on the trail for a hike of about two miles was the adventure of a lifetime. They came from Austin, Texas and were bubbling with excitement on their little day hike. PJ and Gino were the first of many day or weekend hikers we’d meet and they were, as they all were, giddy like school children being out in the great outdoors. Our launching point, Spring Mountain, Georgia. Blissful walking passed the afternoon. I just couldn’t believe six weeks of walking, if all went well, lay ahead. The longest hike of my life was a 320mile/500km section of the PCT with Peter less than two years earlier. Not just the time we had, but the fact that I was in the USA, where I was no more than a face in the crowd, left me feeling free to just be. That first day solo hikers, day hikers, dog walkers and trail volunteers all said hello to us and our massive backpacks. 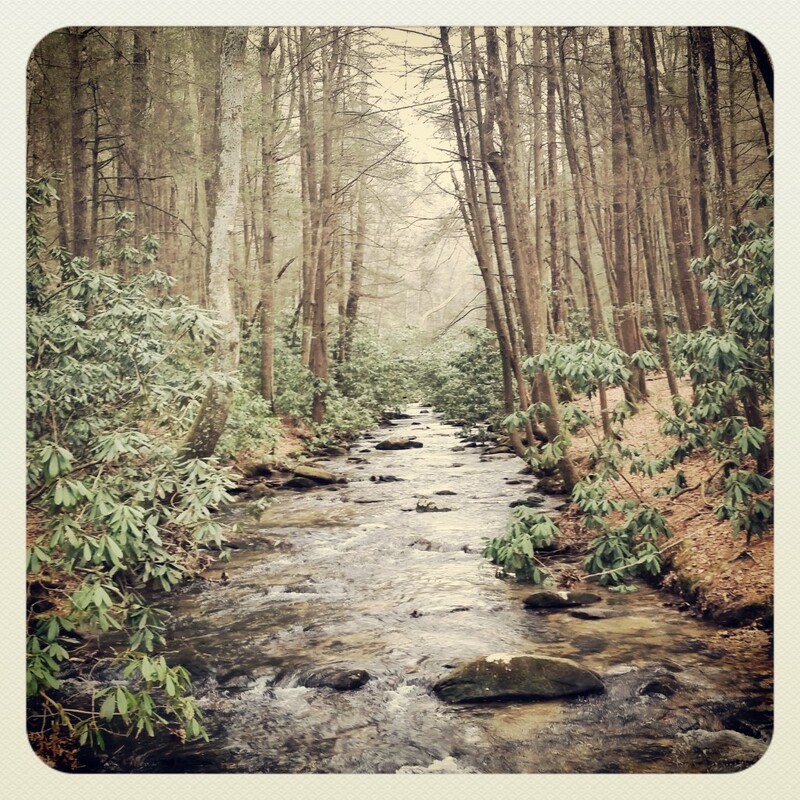 It felt like the trees, the birds, the water flowing clear and cold in the creeks, the sky, the blanket of leaves lining the AT below our feet, and the mild mountain air welcomed us onto the trail. At times the forest of pine, oak, rhododendron and mountain laurel turned to jungle with vines fit for Tarzan creeping up from the earth snaring the tree tops two hundred feet above. The cawk-ing and jack hammer action of the Pileated Woodpecker echoed all around. The mountain landscape was foreign to our senses and made us feel alert and alive. Darkness fell just as we walked into the shelter area. Nine and a half miles was a long way with heavy packs but the time went by fast. It was a good first day and we were ready to get horizontal. But this was hiking and the end of the walking is not the end of the day. Water was to be found and filtered, camp was to be set or made in the AT shelter, food and packs were to be hung or devoured by the mice hunting for crumbs, dinner made then pots cleaned and so much more. Two raucous dogs greeted me as we approached. Their owners and a thru-hiker, giddy with the reality that only 9 miles remained between that night and the completion of the entire trail from Maine to Georgia, sat at the picnic table. The dogs made our decision for us whether we camp or stay in the shelter. I am allergic to anything with fur so we set up our 8×10 foot tarp far enough away, set camp and then set out to find the water source. Rising Sun and Mocha Latte. Peter told rising sun I didn’t have a trail name, that this was my first day on the AT. He said maybe it would be ‘Red’ because of my hair. I said nice try, buddy, that’s way too easy! Rising Sun smiled and sipped his unfiltered creek water. And so I got my trail name.